Please keep in mind that this lesson was created to teach beginners how to play the melody of the song on there piano or keyboard. This piece will be done in the key of C major. Let us take a look at the scale of C major so that you can get acquainted with the keys on your piano. 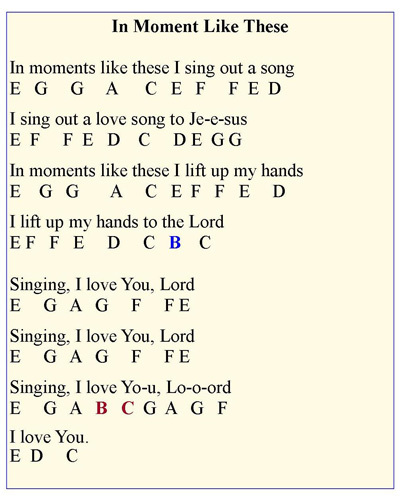 The illustration below shows how to play the melody of “In Moment Like These” on you keyboard. 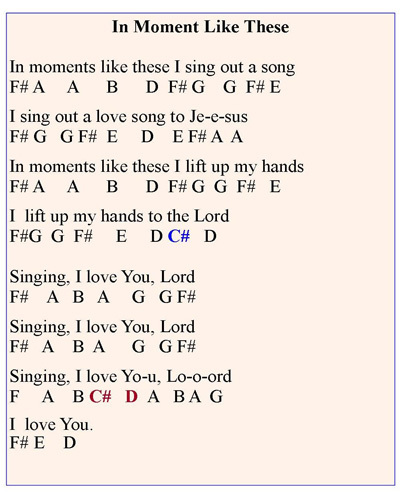 You are also given a keyboard diagram to assist you with this song. Some of the keys are in different colours so that you can easily identify the different degree of notes that are used throughout the song. Please attempt to play the melody slow first and increase the tempo as you become more fluent. Play the piece with your right-hand first, then with your left hand and try to play the song using both hands. It is always good to keep both hands active. Now try to play the same song in another key. The key chosen is D major so please look out for the C# and F# keys. Use the same approaches listed above as you play in this key. 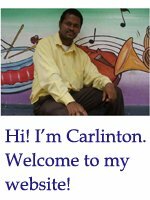 Other free beginner piano lesson on this website! Leave free beginner piano lesson and return to home page.